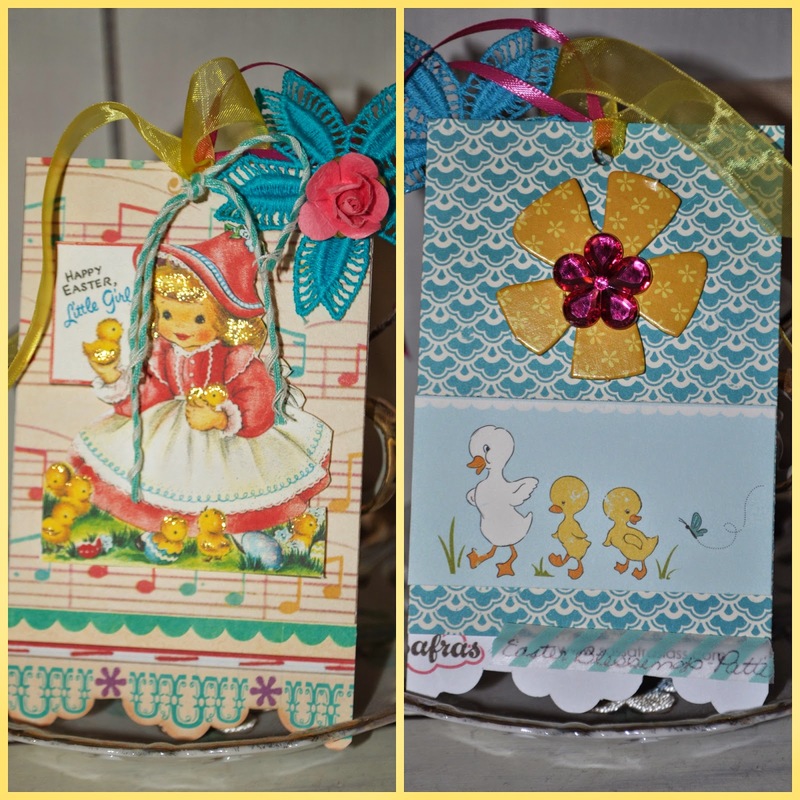 Classical Homemaking: Spring Spoolie Swap Reveal! 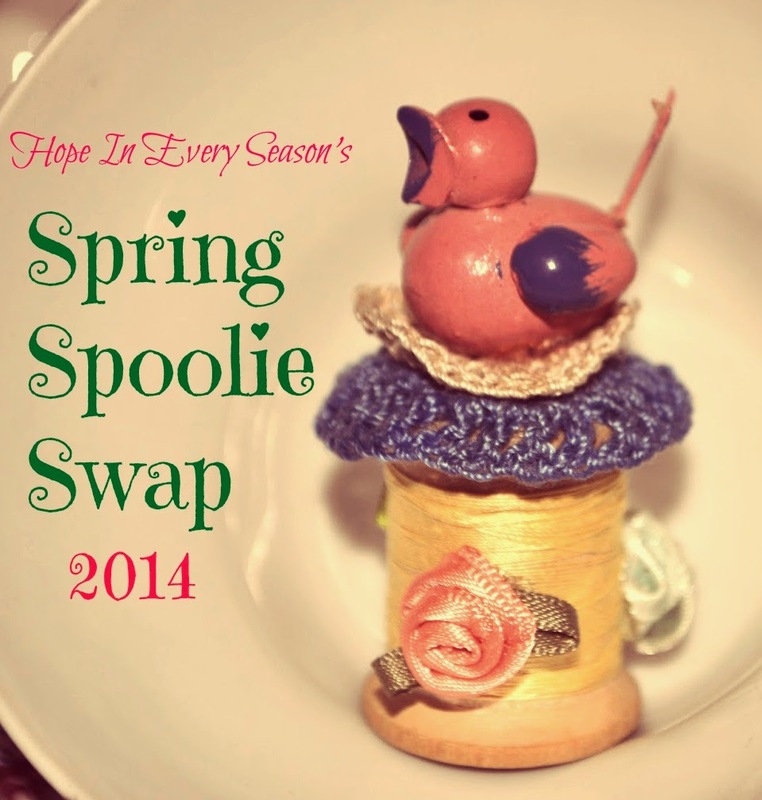 Today is the big day that I reveal the fun spoolie swapping I've been doing this spring! 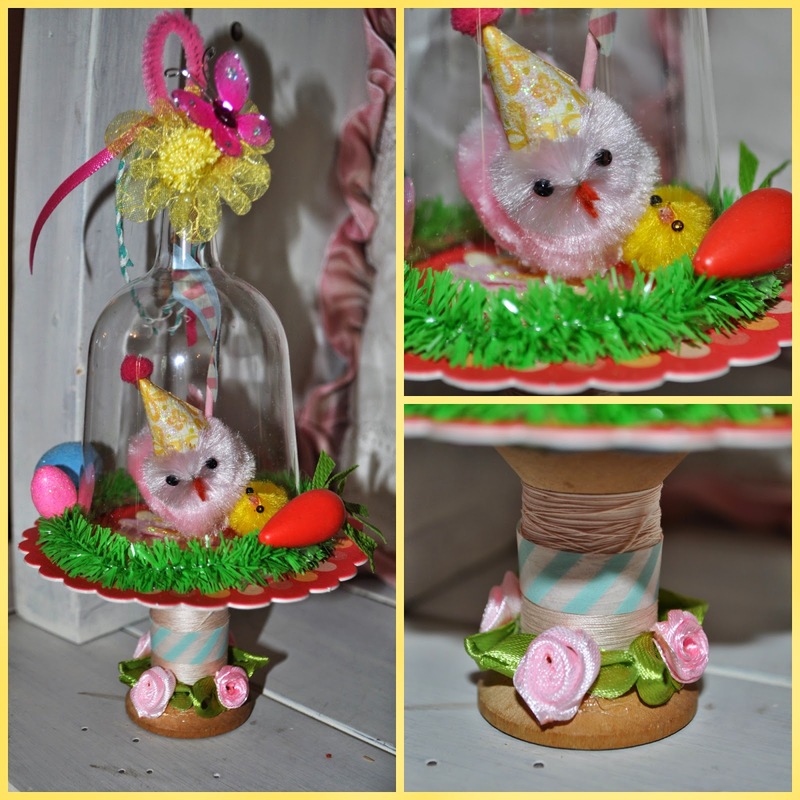 My sweet and creative partner, Paintin-Patti, made me this adorable party chick spoolie! Yeah, she totally blew me out of the water! I was so impressed when I opened up her sweet package! Make sure to keep reading to see the rest of the goodies---and what I made too! If you're super bummed that you missed this round of the spoolie swap, let me know and I'll start up another one! 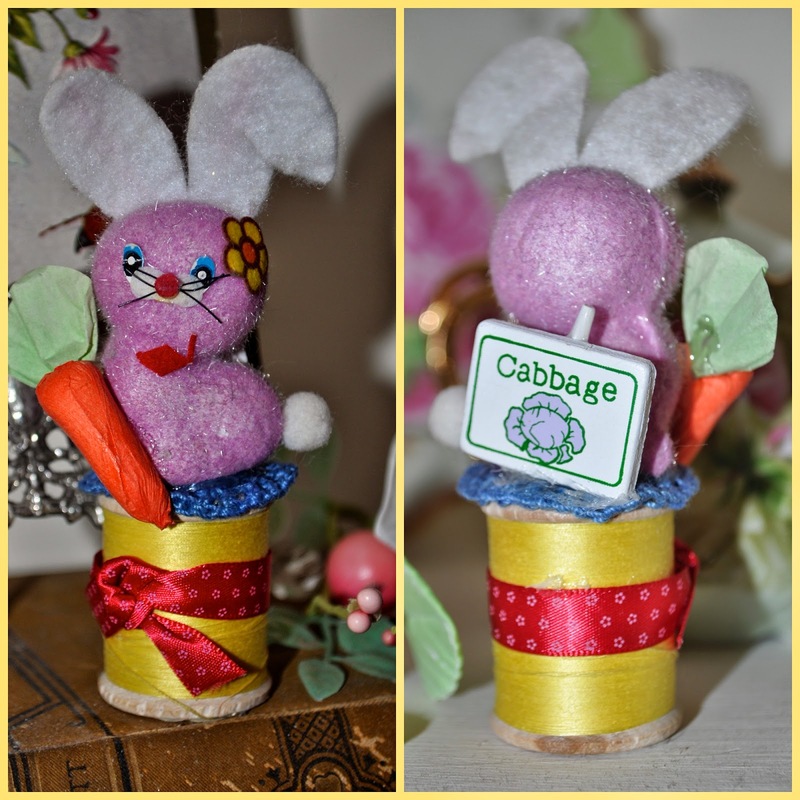 I love to create and swap sweet shabby things. Do you know of any other great shabby swaps? Let me know! Patti included a few other sweet goodies in my box. I absolutely love this gorgeous tag she made for me. The picture on the left is what the package looked like! She had cute pictures on all sides of it. Such a treat! 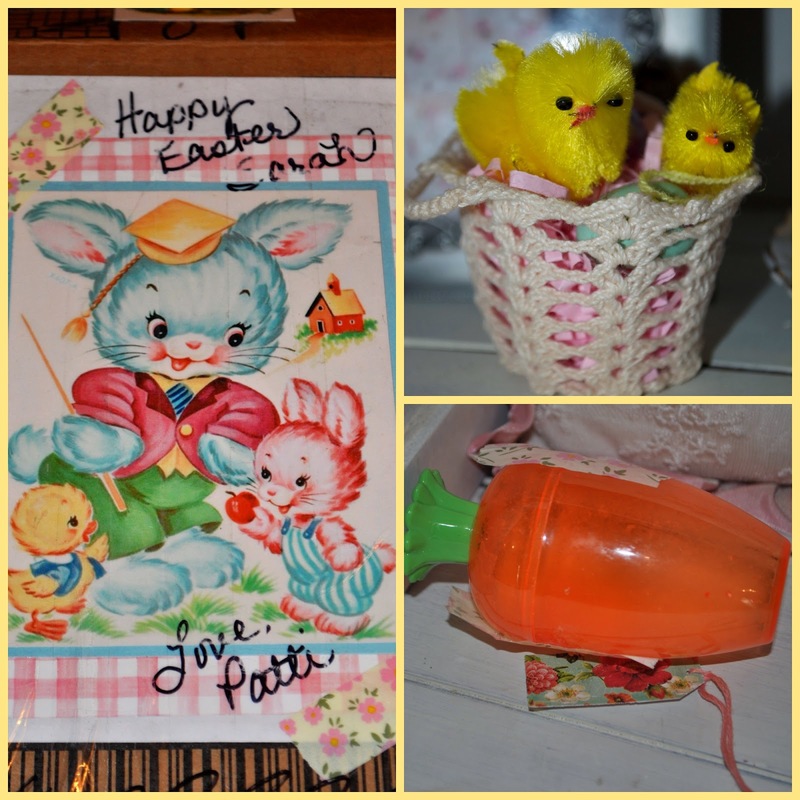 The top right is a sweet crocheted basket with little chickies and eggs inside. It's so neat that she sent this because I was looking at a similar one a few weeks ago at an antique mall and kicked myself later for not grabbing it. The carrot candy container was full of M&Ms and Reese's Pieces. I can't believe I've never thought of making that mix! Here's the spoolie I made for my partner, Oliva, at Oliva's Creative Quest. This beautiful spool from my friend, Audra, at Simply Audra Marie, has special meaning. 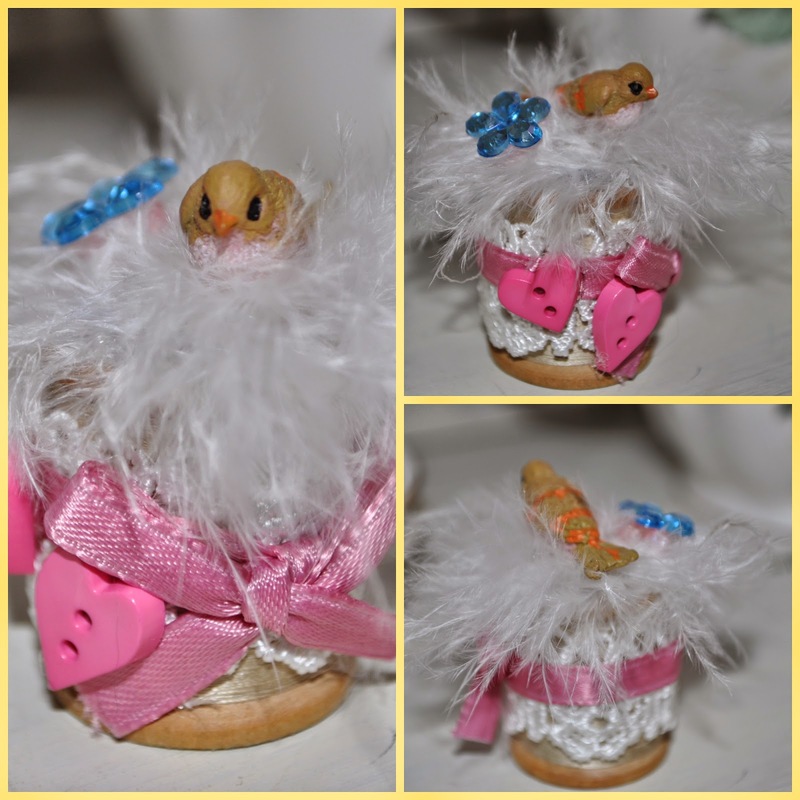 The white feathers on it are leftover from her marriage vow renewal ceremony. She had made Kynthia a pretty hair fascinator for the occasion from these same feathers. Pink, lace, birds, and beauty---she knows my style! I had so much fun participating in this great spoolie swap! Please check out Beverly's Pink Saturday for more pink wonderfulness! Sarah, these spoolie are adorable. What a fun idea and swap! All of you are so creative. It's amazing how creative everyone is...such sweet spoolies ! I just love those vintage cards! That little girl with the chicks all dressed up in glitter is precious! Thank you Sarah for this fun and wonderful swap party! Your pink bunny spoolie is absolutely adorable!!! Thank you for being a great hostess! I am so happy you were my partner! Hi Sarah! I'm glad you like your swap! I just love making sweet things, and I love making new friends, too! Do they have to be Easter themed? Or can they be other holiday or season and such?